When we install a new irrigation system, we make sure to use high-quality components that will last a long time and that will perform effectively and efficiently. However, even high-quality sprinkler systems can experience damage due to a variety of reasons. Fortunately, we offer full-fledged irrigation repair services here at Sprinkler Pro. Leaking heads – Leaks can happen as a result of physical damage or normal wear and tear. If the heads are leaking, not only can it affect the spray of the nozzle, it can also result in wasted water. Leaking pipes – If the water pressure is poor, it could be the result of leaking pipes. You’ll want to have these fixed as soon as possible since you’re wasting a huge amount of water. Broken heads – Heads that are broken may not be able to supply water properly, which means the area it typically covers may not get the water it needs. Heads can break due to all kinds of reasons; for example, someone may have tripped over one or hit one while mowing the grass. Clogged nozzles – If one of your sprinkler heads isn’t working or has very poor water flow, it could be because the nozzle is clogged. Freeze damage – Your sprinkler system may experience damage during the winter if it wasn’t properly winterized. For example, any water left in the lines or nozzles can freeze, thereby causing damage. Electrical problems – If the sprinklers in one or more of your zones aren’t turning on as scheduled, there may be an electrical problem. The heads are too low or high – If the heads are too low or high – Sprinkler heads that are installed too low can become blocked by debris, while those that are too high are more prone to damage. They’ll need to be readjusted to work properly. Over and under watered areas – If there are areas of your landscape that aren’t watered enough or that are watered too much, it means that your sprinkler system wasn’t properly installed and the heads weren’t spaced out appropriately. It could also mean that nozzles were incorrectly sized. Controller issues – If the controller is malfunctioning or the system isn’t responding to your settings, there may be problems with the controller. Heads need to be moved – The heads may need to be moved for a variety of reasons. For example, if you’re adding a new feature to your yard, you may need heads moved to make space. Malfunctioning or leaking backflow preventer – Your backflow preventer helps keep the sprinkler system’s water supply from back up into your home’s drinking water supply. It needs to be checked on a yearly basis and either repaired or replaced if malfunctioning or leaking. 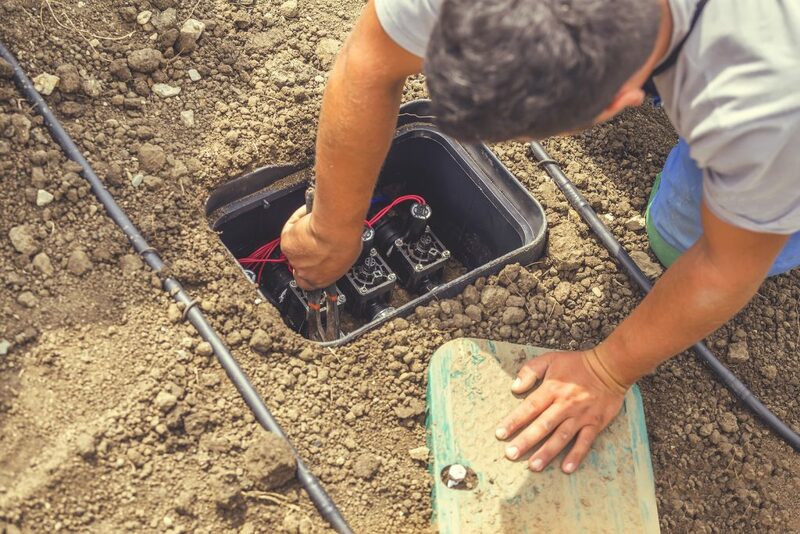 To ensure that your irrigation system is repaired correctly the first time around, you’ll want to hire a repair service that you can trust. Here at Sprinkler Pro, we are a fully accredited member of the Better Business Bureau and are familiar with all brands of sprinklers. We are also fully insured. If that wasn’t enough, we offer 90-day parts and labor warranty on all of our irrigation repair work, which means that you can trust in the quality of our service. We have found that our warranty also provides peace of mind to our customers. If you’re having issues with your sprinkler system, then be sure to contact an irrigation repair service in Aurora you can trust. Contact us at Sprinkler Pro to schedule a repair service today.